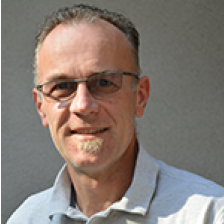 Arnaud has been working on open technologies for over 25 years, focusing on standards and open source development, both as a staff member of the X Consortium and W3C, and as a representative for IBM. Arnaud was editor of several key web specifications including HTML and DOM and was a pioneer of open source with the release of libXpm in 1990. Arnaud has participated in several prominent open source projects including the X Window System and Xerces, the Apache XML parser. Arnaud currently is the main representative for IBM at W3C, an elected member of the Hyperledger Technical Steering Committee, and a contributor to Hyperledger Fabric.